Master System's Wonder Boy in a Megadrive cartridge. 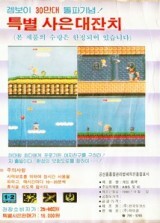 This title was officially released in South Korea by Samsung. 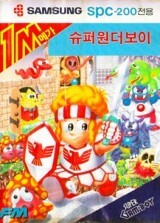 Though the cover uses the artwork from Super Wonderboy Monster World, the game really is Super Wonder Boy.